Securatrak through its relationship with Geotab has been delivering telematics solutions to the Australian and South East Asian markets for over 13 years. Securatrak has seen the evolution of the 2G black box collecting basic tracking information to its current slim line on-board diagnostics (OBD) connection with a rich source of vehicle, location and engine data. Arthur Koulianos will provide an overview of how Australian businesses have been using Telematics over the past 13 years and how their requirements have changed in recent times. He will place a focus on the popular Big Data statement looking at what Securatrak and Geotab are doing in this space and what this means to many businesses looking at how data can assist them with productivity and business management. AFTER the conclusion of Arthur's presentation at 1.30pm, there will be an opportunity for you to network with your industry colleagues over tea and coffee until 2.00pm. Arthur has over 10 years experience in product development, management and sales across a broad range of product, services and industries specialising in mobility, financial services and technology. His passion is in building and rebuilding. Taking a concept or an existing product and consulting with clients and sales teams to build the next, better version, then selling that vision internally and externally. He enjoys applying his trade across various industries as it has enabled his development of deeper analytical skills, a more professional consulting approach, broad product knowledge and so many relationships with people. 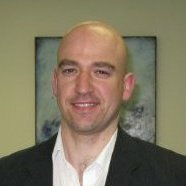 Over the last 4 years Arthur's work in the mobility space has focused on building and selling the message of telematics. Its cross industry benefits include the collection of information about vehicle usage for fleet management, usage optimisation and associated cost savings.